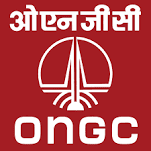 Oil and Natural Gas Limited (ONGC), Karaikal has published a Advertisement for below mentioned Posts 2015. Check below for more details. Application Fee: Candidates should have to pay Rs. 300/- for GEN/OBC candidates, Rs. 100/- for SC/ST, PwD & Ex Servicemen Candidates in any branch of State Bank of India. ONGC Account No. 30827318409. Branch Code: 1576. How to Apply : Interested Candidates may Apply Online Through official Website www.ongcindia.com.